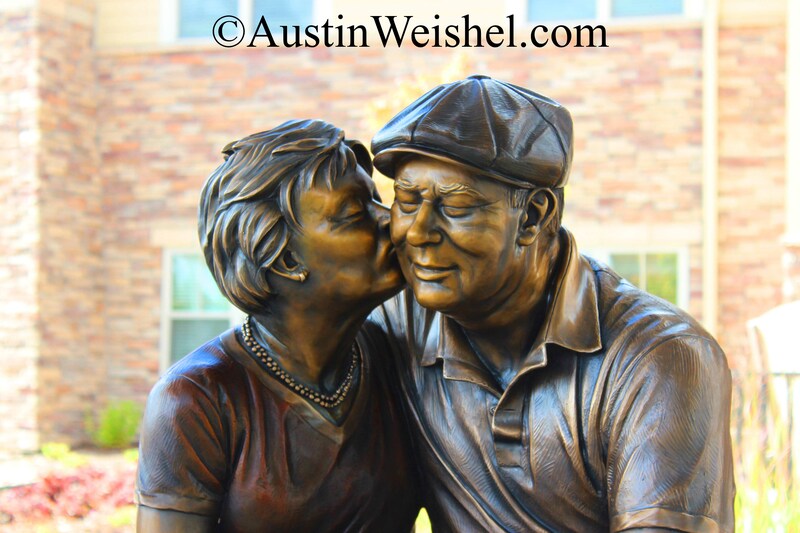 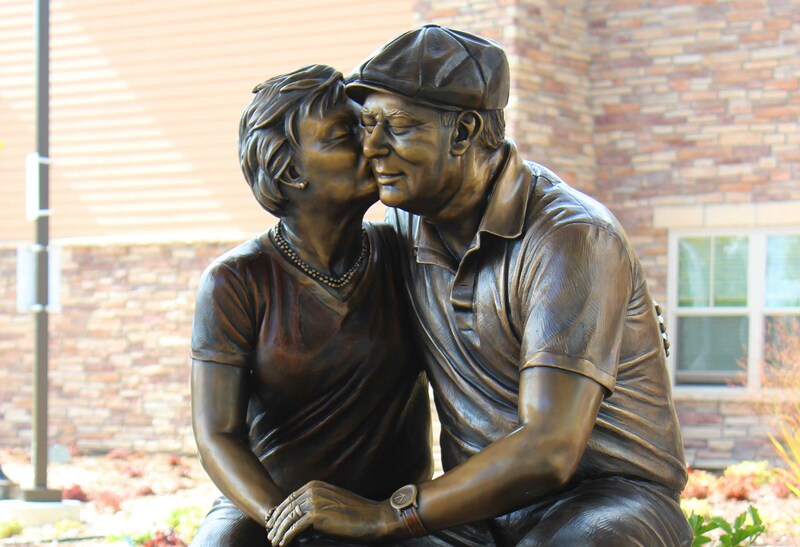 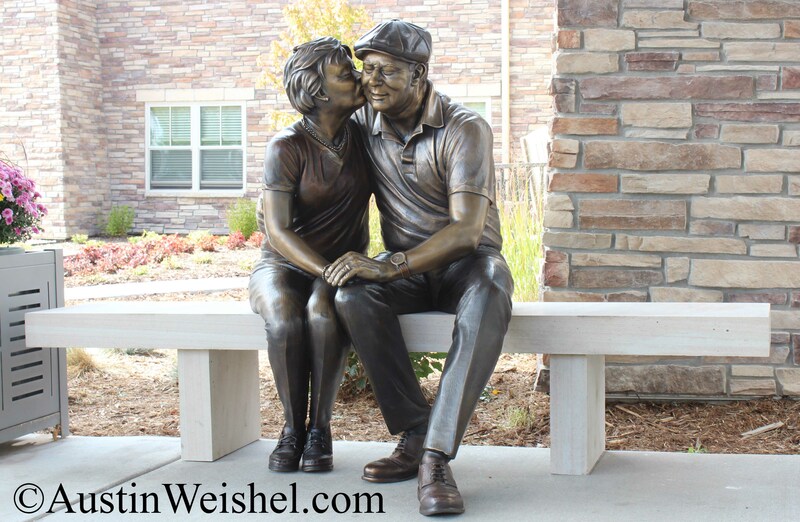 “The Golden Years” life-size bronze sculpture was inspired by my grandparents ever lasting love for one another. 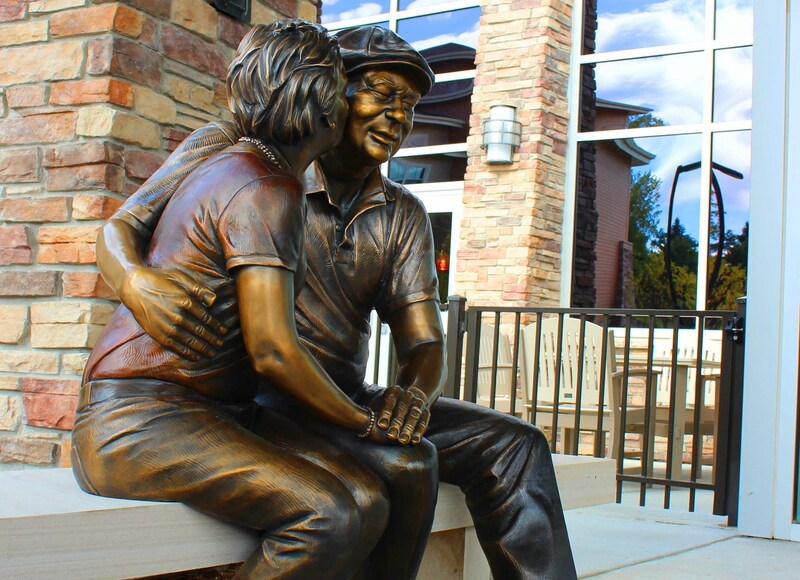 “The Golden Years” sits on a 7ft long sand stone bench to give room for people of all ages to interact and connect with the sculpture. 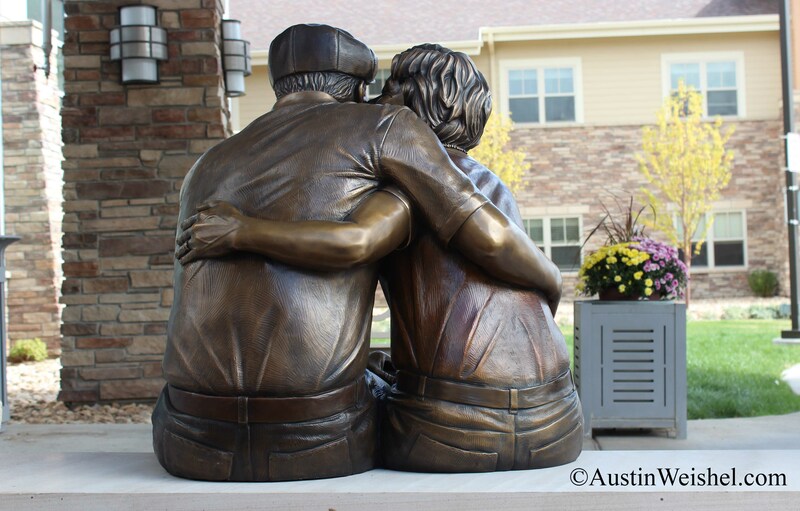 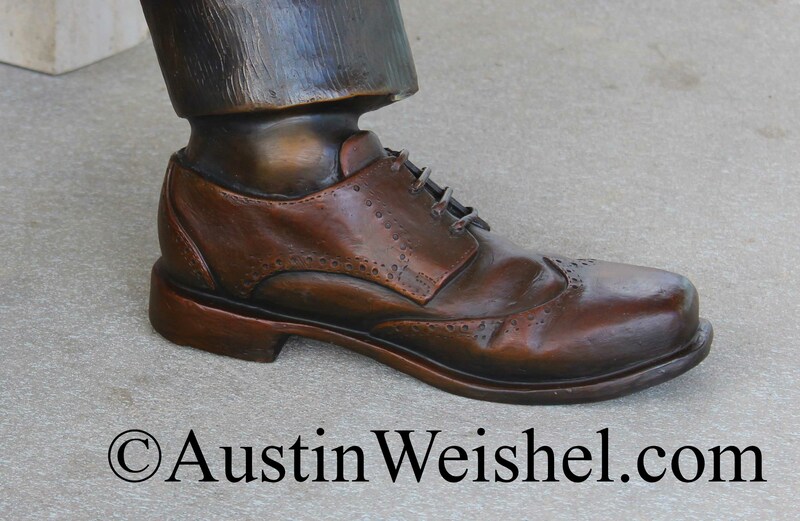 This sculpture is perfect in park, sculpture garden and entryway settings.